An IBM supercomputer codenamed "Watson" just played two of Jeopardy's greatest human players and emerged the victor. Ken Jennings and Brad Rutter, two former champions of the TV quiz game show, went up against Watson in a practice match yesterday ahead of a live TV special, reports Wired. And while they were good, Watson — thanks to the 200 million pages of reference material, novels and movie scripts scanned inside his mighty mechanical brain — was better. 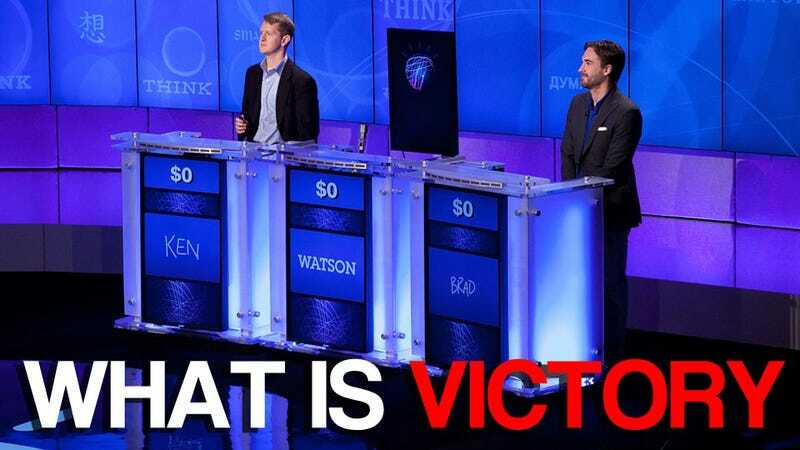 Capable of 80 trillion operations a second, Watson is also an expert at speech recognition, meaning he can listen to a question, analyse the words within, compare it to his programming and come up with an answer in around three seconds. Machines beating people at chess or go is one thing, but something that's a walking library capable of understanding human speech? We are officially one day closer to our ultimate demise at the hands of our mechanical overlords. UPDATE - Now, courtesy of Engadget, with terrifying video footage!